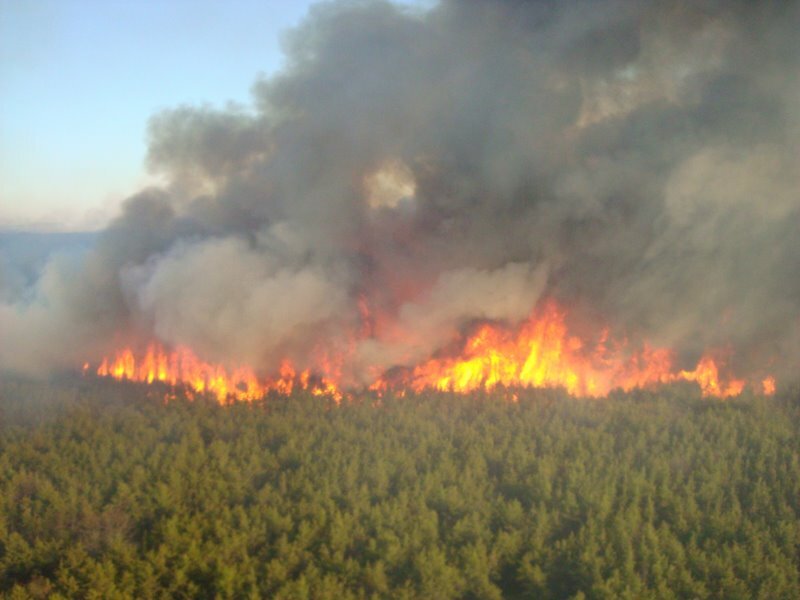 If you’re like me, you may have often wondered about the forest fire and wildfire hazard ratings you see posted outside of the Michigan Department of Natural Resources field offices. While I’ve always known that these ratings were based on more than just an empty rain gauge, it wasn’t until a presentation made by Atlanta area DNR Forest Fire Officer, Jennifer Nemeth, that we became aware of the myriad of data that goes into in the development of these risk classifications. 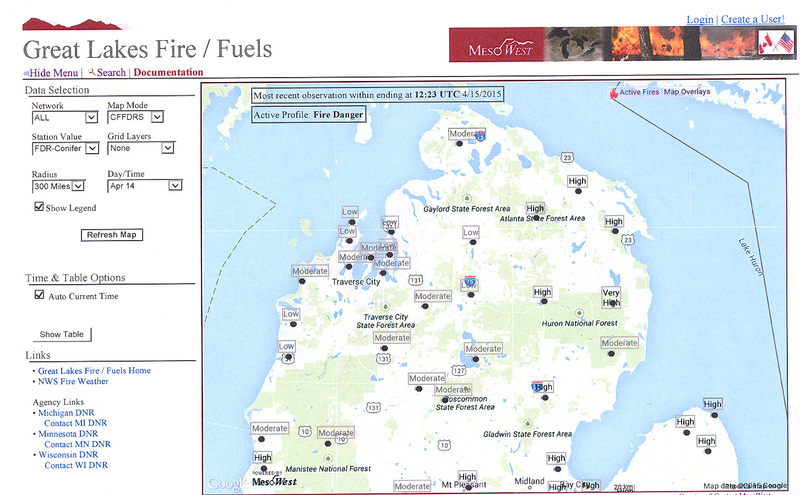 To see the webpage which serves as the basis for our regional ratings, Great Lakes Fire/Fuels data page can be found by clicking here, or through the link which appears on the MDNR Fire Management website. Each of the monitoring stations for our Great Lakes region may be seen on the webpage together with the current fire/wildfire conditions risk rating. These ratings, together with the detailed data which serve as their basis, can be seen by clicking on the local station icon. It appears that even Smokey Bear has gone high tech.